Big thanks for the support already from the likes of Gilles Peterson (Worldwide FM), Craig Charles (BBC6), Jazz FM U.K, KCRW and Simon Harrison (Basic Soul). Some of these versions can almost be looked at as DJ re-edits, sometimes we're extending what may be a really short track into something longer, or teasing out the elements in a song that really make it work on a dance-floor. It's essentially what someone does with a club re-edit, except we went the extra step and re-recorded the whole thing with a live band. The classics re-imagined range from recognisable names like Earth, Wind & Fire and Manu Dibango, to rare groove gems like James Mason’s “Sweet Power Your Embrace”. Even modern classics get a look in, with Anderson Paak's 'Am I Wrong' given an 1980's style Boogie/Jazz Funk makeover. 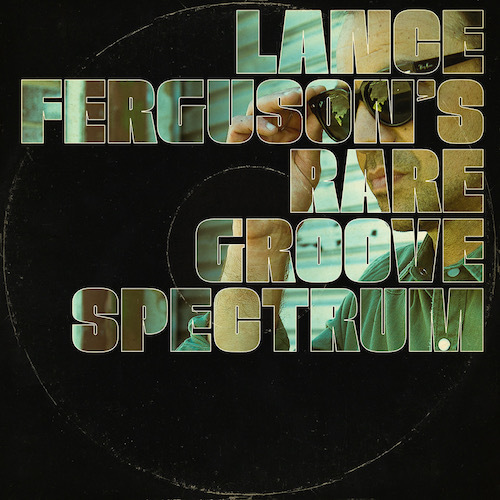 ‘Rare Groove Spectrum’ provides new perspectives on the obscure to the well-loved, from old-school to new sounds - these are rare grooves re-grooved... beautifully. “To be honest, the prospect of Lance Ferguson selecting some of his favourite cuts and redefining them to suit his musical sensibilities is one mouth-watering prospect. …He has vision, he has superb taste, he has class and above all he is one heavyweight talent.